NJCTS – Cognitive, Executive, Emotional, and Behavioral Interventions for students. Designing interventions that work! NJCTS > Webinars > Cognitive, Executive, Emotional, and Behavioral Interventions for students. Designing interventions that work! Designing interventions in a classroom can be tricky. A whole-child centered approach is needed to improve children’s functioning, build skills, and develop strategies to promote learning and independence. This lecture will review the essential systems for learning including cognitive, executive, emotional, and behavioral aspects of students’ functioning. Participants will also learn how to approach designing interventions as well as understand specific strategies that work in classrooms. 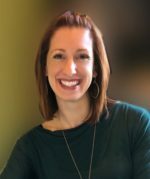 Sarah Levin Allen, PhD, CBIS is the Executive Director of Neuropsychology at Brain Behavior Bridge and an adjunct faculty member at Drexel University. Dr. Allen is also a consulting Neuropsychologist for Weisman Children’s Hospital. Dr. Allen consults for districts all over the state of New Jersey regarding brain based program designs for public and private schools. Please explain how the emotional system compensation would work in a typical classroom. If the student were to leave the room, I assume it would be to go to the nurses office? What would the child expect to do there – I would not want it to feel like a punishment. Yes. The student can go to a nurse, counselor, or other location (depending on the school) in which the child can be supervised and safe. As students improve in their ability to monitor their emotional responses, this could even be as simple as going to the bathroom. Often, this intervention requires heavier supervision in the beginning, and then it can be faded to be a more independent activity. This would be ideal so that the child can generalize this skill and use it in a number of situations. Can you explain how test anxiety fits into the learning systems model you described? This goes back to our discussion about system stability. If the emotional system is unstable, like when a child is anxious about a test, a lot of executive brain power is used to work through that emotion. The front of the brain spends time working on reducing the feeling of anxiety. While it’s doing that, the executive system is unable to control other thoughts necessary for completing the test like systematically approaching a word problem, adding the right numbers, holding the concepts in mind, etc. Similarly, if a child is anxious in general, they aren’t as ready for learning for the same reasons, they don’t have as much power to think clearly. This is generally why we give students with anxiety extra time, it’s not because they need more time to think about the test, it’s because they need time to first reduce their emotional reaction, then they can start the test. The time is actually on the emotion management side. I’m confused about how reading and executive skills fit together. How can I tell if my child has trouble with reading comprehension or if it’s something else? (A)	Does your child have trouble with longer texts, but does ok with shorter ones? (B)	Is your child able to think abstractly and understand when you break down the material into smaller chunks? (C)	Do they have lots of thoughts about the text, but they come out disorganized and out of order? Remember that working memory issues specifically, can also be a problem when learning to read. There are a number of reading rules that one must keep in mind when reading. What do you do if there’s an “e” at the end of a word, how do you tap out a word, what little marks go at the top of each part of a word. If a child has working memory issues, it may be harder for them to hold all of this in his or her head. You can make sure that the intervention is as simple as possible (i.e. not a lot of marks and rules), and add heavy sight word training. This will increase a child’s knowledge base of words while you’re teaching them to read. You can even use those words to write stories and read those stories (working on reading and writing). It will boost their emotional system to be able to read and provide some extra power and motivation for remediating their reading issues. Regarding calm down strategies – at what age would you expect a child to initiate their own calming if it has been modeled by the parents? You typically see children use calm down strategies appropriate to their developmental level. For example, even a two year old can be taught to “use their words” to get what they want instead of throwing a temper tantrum. Overtime, kids grow in their ability to control their emotions. By the age of 5 or 6, even those kids who have difficulty with this skill can learn to “take a breath” before getting upset. Some children will start putting themselves in “time-out” or using breathing strategies to calm down. The key really is modeling. You often hear yourself in your children. They will mimic the strategy you model for them. If you watch closely, they’ll begin using a small piece and then finally be able to use the entire strategy without cuing. What does natural cueing mean and how do you do it? Natural cuing is using your words in real time to indicate what you’d like a child to do. For example, those children with limited language skills can be “naturally cued” to produce language in their environment. When they ask for something by pointing (e.g. a child points to a banana and says banana? ), the teacher or parent can provide a natural cue by saying something like. ”Do you want the banana? Say I want the banana.” This can be done with problem solving as well. Teachers and parents can “talk out” their strategies first to model the thought process. Then they can cue a child to follow. For example, if I need to get my son Carter to wrestling, my daughter Juliana to swimming, and make dinner all at the same time, I might talk the problem aloud. “My problem is that I need to be in three places at once. I’m thinking about what I could do. Maybe I could ask another parent to drop off one of you. I could also make dinner before we leave. I thought about trying to drop both of you off, but I won’t have time. The first solution seems like it will work. I’ll try that!” When my child has a problem. I might then cue, “Can you tell me what the problem is…what actions could you take to solve the problem…which one do you think would work?” I can also practice problem solving in natural situations with my child. For example, you could play a game on the way home at night by asking your child what should be done and in what order (e.g. should we get in bed, take a bath, and then brush our teeth)? This game naturally works on children’s ability to sequence and solve problems because they get used to talking out how to do a task. I’m on this webinar on behalf of my 11 year old grandson with TS. You used a term I was not familiar with “Motivator”. Is that some technology we should buy or method of doing something? Please clarify. This is the watch to which I referred, however there are some other phone applications that you could use as well. The system is a self-monitoring program to help children become aware of what it feels like to pay attention. Self-monitoring programs are the key to success for behavioral interventions in children. Your ticket for the: Cognitive, Executive, Emotional, and Behavioral Interventions for students. Designing interventions that work!